Lazy defensive game and he showed the good and bad of point-Jules, but it's fun to see him flying up and down the court playing bullyball while creating. Julius always did want to be Lebron. Imagine the Lakers running a death lineup with LeBron at the 4 and Julius at the small ball 5. Oh, MJST, I did imagine it for a few days this past July. It would've been glorious more often than not. ETA: imagine Julius and Lebron at the elbows in all the horns sets the Lakers are going to run over the next four years. Gawd if we had just forced him to play here (I mean he was freaking restricted, and in a contract year).... Aside from outside shooting, Randle would fix our other weakness. The idea that Julius wouldn't complement Lebron was silly to me. A more skilled, quicker Tristan Thompson would do just fine next to LBJ. Without the off court baggage that Tristan brings too. So far, at least. There are a lot of Kardashians. Not looking for him to carry a team, we just need a physical presence who can rebound and play small ball 5. He would have fit in with us this season perfectly. We should never have given into his or Mintz’s demands. Qualifying offer or nothing. He would have come around and played well for us, then made his money next season as a UFA. Mintz really screwed over his clients and the Lakers. Fantasy basketball is a fairly simple game. You select a team and fill out a roster. You succeed or fail based on how well your players perform in certain categories. 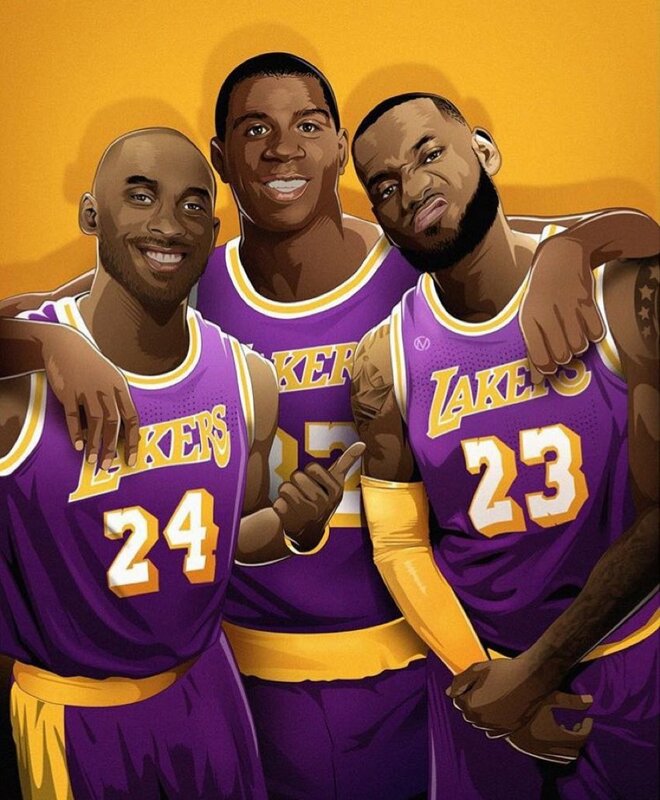 If the Lakers have Lebron why are they struggling to win games in the preseason? If he becomes a legit three point threat, he is going to be impossible to cover. We've been saying that for years now. At best, maybe he can be a 30% 3 point shooter but it's never his instinct to shoot. Luckily for the Pels they have Mirotic who will let it fly from 3. I don't think Jules is going to be pressured to shoot jumpers as that is not his bread and butter. He will be a physical presence to protect AD. Randle didn't even start the last game, and AD finally played well as a result (AD's shot distance chart indicates he prefers to operate within 16', preferably 10'). Before last night's game, AD was shooting 43% from the field, only really dominating vs Alex Len. NO still lost to a Raptors team who sat multiple guys (Kawhi, Lowry, JV, Ibaka, Van Vleet, Green, Wright, Powell), while at full strength themselves. Barely even won the first quarter. Preseason or not, there are no positive signs for this pairing. Randle will be coming off the bench. I'm sure we can all name players who have extended their range from 17' to three, but extending Julius' range from about 17" to the arc isn't possible. If that man actually played center, Alvin Gentry must have a college job lined up. I think Gentry was just testing it, cause Mirotic was doing his best poor-man's Pau impression in the last game at center with Jules playing the 4. I don't think it's a full time solution, and I think Davis has excelled at the 5 as of late and should/shall remain there. Lakers had massive chemistry problems last year and that was just because Randle wasn't starting. It took a locker room meeting plus promoting Randle to the starting lineup to solve that. I don't even want to think of what it would do to the team, if we had forced him to come back against his will with a qualifying offer. Not to mention he would be coming off the bench. He didnt want to hear that. And he is coming off the bench anyway. Shot is looking good early. Looks like it, I'm watching and he deserves more minutes. NO's lead ballooned when he checked in, then HOU got back in it once he went to the bench. But I'm happy that he's now with a franchise that actually appreciates him. He's up to 17 points in the first half.